The EasyDome DIY Geodesic Greenhouse eBook Is Ready! So What Are You Waiting For? Lets Get Building! Maybe you have built a few models, maybe even a full size geodome in your back yard as a tool shed or play house for the kids and now you are finally ready to grow some serious food! Well luckily mygood friend Kacper and I have solved most of the biggest challenges already! How to actually build a huge geodesic dome greenhouse using using everyday materials you can buy at any lumber yard. 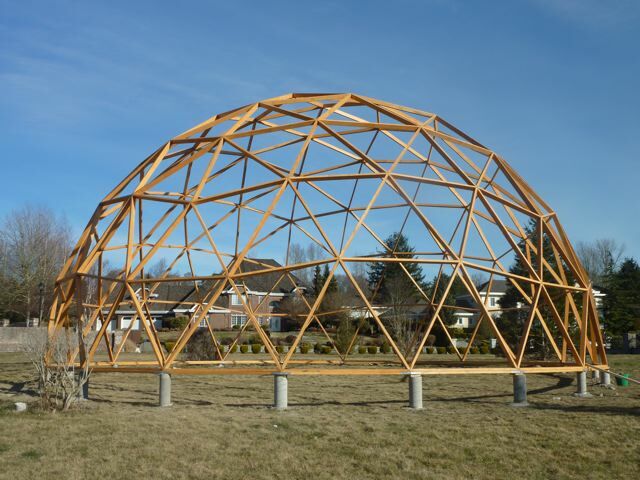 A $500 Geodesic Greenhouse Frame? First a little about Kacper. He is the grandson of a master tomato gardener, has a lovely wife and an amazing not so little daughter who loves veggies! 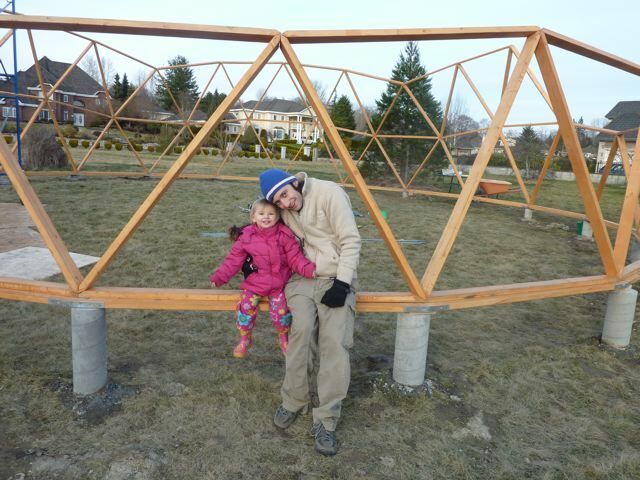 I guess gardening runs in Kacper’s blood because the moment he saw the potential of geodesic greenhouses he started building one. That is one thing I admire so much about Kacper, he doesn’t wait around, he just goes and starts building! 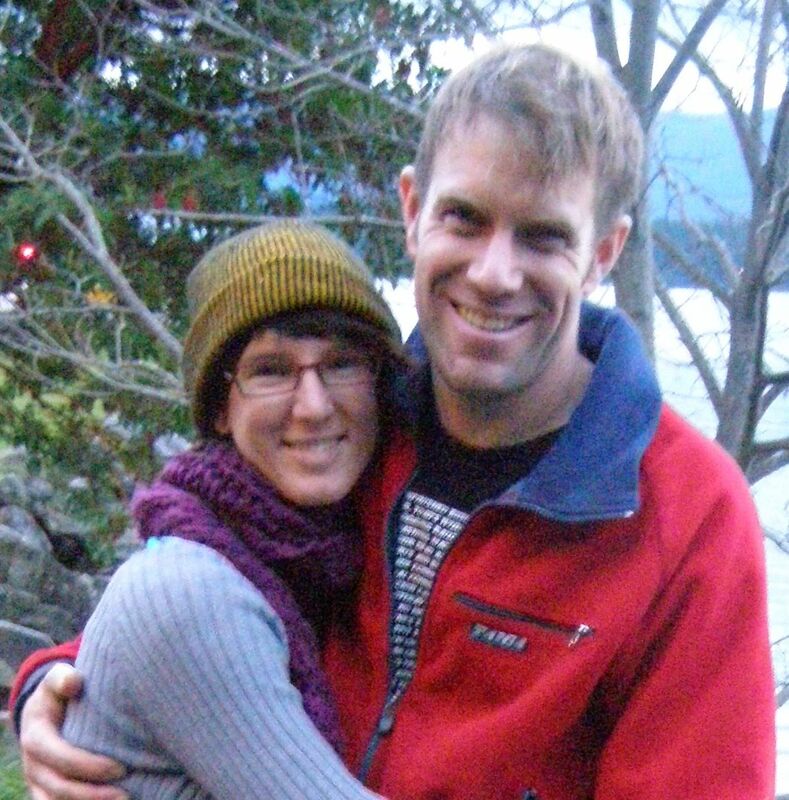 So after he created a small “test dome” he started pouring concrete for the foundation of a giant 40′ dome. While he was doing this so many people started bugging him about dome construction both online and off he finally wrote down (he can type at 80 words per minute too!) 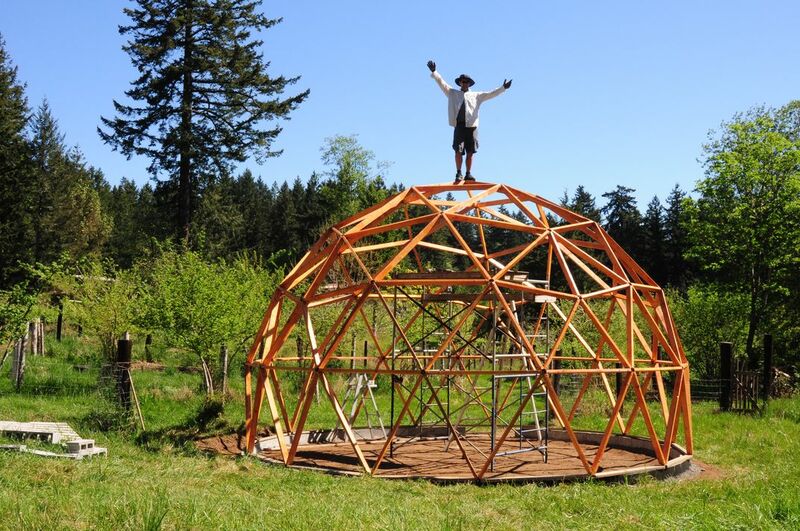 the exact methods he used to save over $16,000.00 on building his dome, how he cut the struts, how he planned his dome using free tools, in fact he did a complete brain dump of all his mistakes, challenges and ultimately exactly how to build your own geodesic greenhouse biodome. Kacper and I put our heads together, leveraged his learning and my construction background and came up with a whole new way to connect the struts. Most hub systems come in at over $20/hub we teach you how to do it for less than$7.00! And we show you every step in the new updated manual. The amazingly low cost involved. In fact you can build your own dome for pennies compared to the cost of normal green-houses using regular 2x4s from your local lumber yard. How simple and inexpensive they are to heat. With proper design and covering you can have tropical temperatures, even in the dead of winter. The amazing strength of the geodesic form. It is one of the strongest structures (being based on a sphere) in the world. 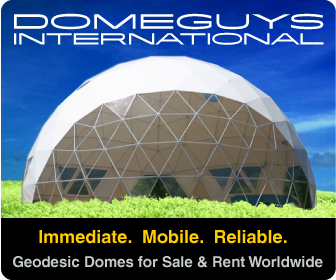 Geodesic domes have withstood earthquakes, pretty much any amount of snow and hurricane force winds. How geodomes are scalable. You can build to any size no matter what space you have to work with there is a dome that will work for you. For the amount of growing space you get domes are incredibly light & transportable, because of this you can easily move them if needed. Depending on the size and where you live you probably don’t even need a permit to build a temporary structure, so can have your own whether you own land or are just renting! But don’t take my word for it. Go check it out now, remember the book is 100% guaranteed! If you don’t like it for ANY REASON, you can return it for a full refund any time you like. Even AFTER READING IT! How good is that? 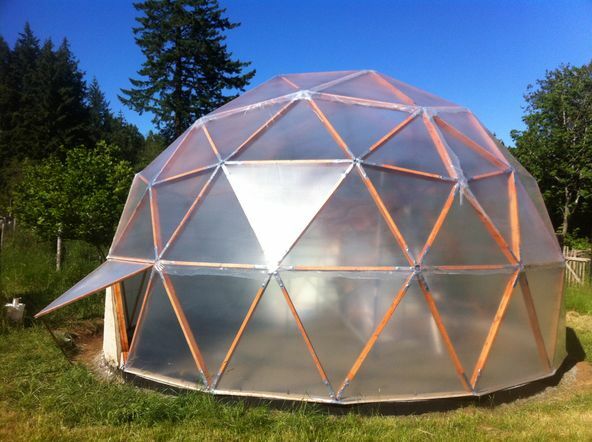 Right after I build my 24ft biodome I put together the EasyDome Geodesic Greenhouse eBook. I put all my mistakes, false steps and successes and made it as clear, concise and easy to follow as I possibly could. I have now had personal feedback from people with zero construction experience who quickly built their own dome greenhouse. With the step-by-step fully illustrated eBook you can definitely build your own geodesic biodome (because I already did and have the pictures to prove it!). Click here to check out the site now. Remember its 100% guaranteed forever and besides that its frikkin cool to build your own biodome! 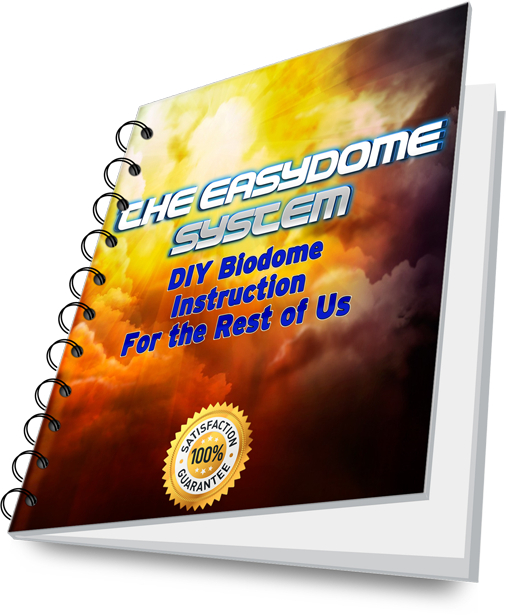 17 Responses to The EasyDome DIY Geodesic Greenhouse eBook Is Ready! I have alot of building experience and would like to miter all my connections instead of using a fabricated connector. I am building a 40′ greenhouse dome. would you reccomend v4 style? Is this covered in your book? Thanks for your reply. Does the book include covering the dome with polycarbonate roof panels. I need a good quality dome about 26′ across for aquaponics. Any suggestions how I would move a 30′ greenhouse dome? Depending on how far you need to move your geodesic greenhouse and how it is fastened to the ground I would suggest some log skids and a tractor. The dome is strong enough to be moved short distances over flatish ground. If you need to move it across town it has to come apart. I would like to know whether it is possible to use a polycarbonate covering or maybe even just greenhouse sheeting to cover the dome? You may cover your biodome with whatever material you choose. Each has its advantages and disadvantages. We chose industrial shrinkwrap for its ease of application and low cost but many people use greenhouse sheeting with good results. You must, however, make sure it is UV stable or it will only last a year or so. are you allowed to let me know where to buy the hubs for a strong geogreenhouse? That’s what the eBook is about! How to build your own biodome greenhouse with a super strong easy to use hub system that will save you a ton of money over buying a hub system from a commercial operation. Happy building whatever route you decide to go with! Do you have any advice for trying to use plastic lumber to construct the entire greenhouse? Is that possible? Might have to use 4×4″s for the struts for stability. My quick thoughts. Super expensive. Super heavy. Potentially a huge fire hazard. But do a design using the eBook and the calculator in the members area to size your dome then price the materials and see if it makes financial sense. I really need an answer to my previous questions. The kids are done bending the hub metal and are inserting them into the struts. I am ready to build shortly. I need the A,B,C, & D strut layout and the distance the hub metal is away from the end of the strut. Sorry for the delay. Life is full on right now with my own three kids and installing the chicken powered bio-furnace into the geodesic greenhouse. The hole needs to be 1-1/2 from the end of pipe and the calculator in the members area will give you the hole to hole measurements. Wondering if you ever wrote the book about “Mass Rocket Heaters” that you talked about writing? Is this still available for purchase? am interested in the book. I just came across your pdf on how to make the dome. Thank you for sharing this great information. I have a 20′ geodesic bio dome made out of basic lumber from the big box store and a wrap from Germany – it has changed my LIFE! Thank you for putting this information out there for people to learn the joy of growing like we do. I hope we can connect sometime soon!